Owned and operated by Engineers, TouchPad Electronics, Inc. provides comprehensive PCB assembly prototyping, low-mid volume production, PCB Layout and electrical design engineering services round off our solutions to enhance customer success in the development and creation of products requiring electronics assembly. Our team of technical professionals serves customers in all markets from medical to industrial control and HMI interface technology. Our acute process and project management expertise ensures responsiveness and effective customer communications. To provide unmatched technical value to customers by applying superior process, with a sense of urgency and innovation to deliver timely results and product excellence. Since its inception in 2000, TouchPad has built a reputation for excellence and exceeding customer expectations, evidenced by our significant repeat customers, financial stability, and consistent growth. Privately owned, TouchPad was initially founded as TouchPad Design Corporation – Electrical Engineering and PCB layout Design Company, offering ultra-fast-turn-around for engineered advanced technology PCB designs. This forged the company culture and work-ethic of urgency, quality, and responsiveness that continues to this day. In 2007, the name was changed to TouchPad Electronics, Inc. to reflect the broader markets, technologies and growing amount of comprehensive product engineering services along with its newly introduced Quick-Turn PCB Assembly services. As TouchPad continues to grow, in order to maintain its standards of urgency, responsiveness and competency TouchPad began a massive investment in a customized Dashboard software solution that provides comprehensive job cost, and performance tracking and control. All time, expense and material is logged to tasks and opportunities in real time; every work flow process is automated and on-line, including Quoting, purchasing, Pick and Place set-up, receiving, and Project Scheduling. This system enables TouchPad to maintain acute project status, visibility, accountability, efficiency, and reporting- the end result being superior productivity, quality, and customer satisfaction. In 2010, TouchPad’s 10th anniversary, TouchPad built out and occupied a new 6,000 square foot facility with stunning interior design and an open collaborative work environment. This was a celebration of more than five years of compounded 100% plus per year growth. TouchPad became ISO9001-2008 registered in Hardware Engineering, Software Engineering, Mechanical Engineering, PCB Layout and manufacturing. In 2014, we expanded again, adding 3000 square feet to our facility. 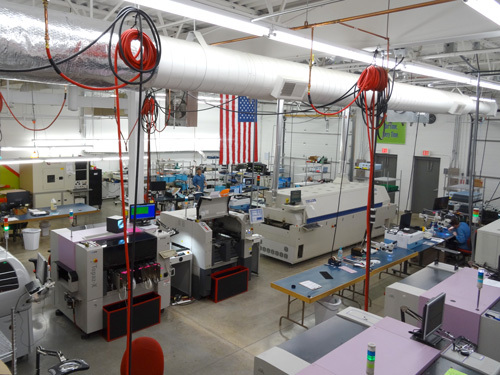 New flex placement machines, 2 selective soldering machines, and additional Optical inspection station as well as full X-Ray capabilities. 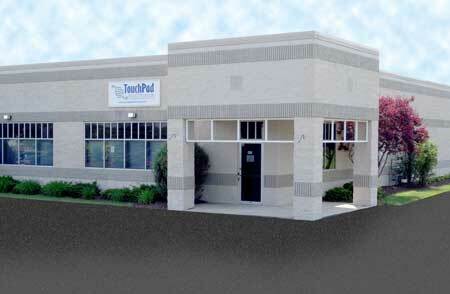 In addition to the space and equipment, TouchPad grew its staff by nearly 100% that of the staff in 2010. In 2016, TouchPad launched its newest release of custom software management systems. In 2016, TouchPad launched its newest release of custom software management systems. This includes the fastest and most accurate live component sourcing tool which enables our project management team to establish 95% of component availability and pricing within minutes rather than hours or days. Its custom ERP system allows for up to the minute live visibility into project status on our shop floor. In 2017 Touchpad focuses on franchised training, employee growth and hiring for the next leg up! In 2017 TouchPad’s focus was on all employee in-depth formalized EMS training programs, business-wide process control, 5s and LEAN workouts to better serve our customers. 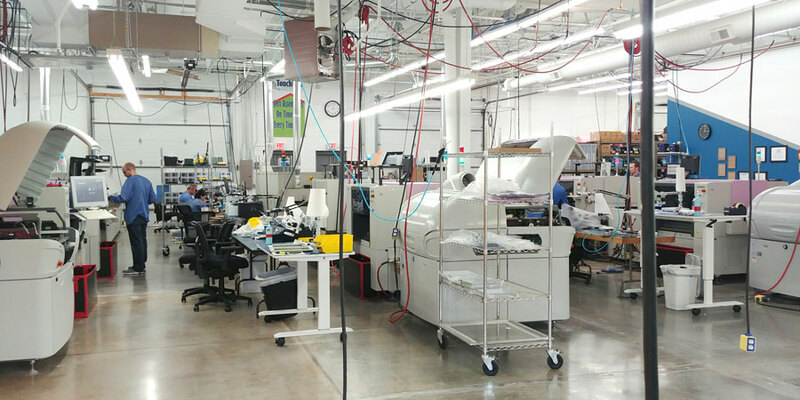 We also added additional 11 engineers and technicians to our prototyping group and project management team and once again have set our focus on sales growth. We intend to build out additional square footage while adding capacity in the form of equipment and additional technical staff. In 2018 TouchPad added 3000 sq. Ft. of floor space 3rd flex placement line and 9 new technical staff members. In 2018 we increased our machine capacity and technical staff by over 30% and have seen another year of phenomenal sales growth which is more than keeping up with our new-found capacity. We are making huge strides towards providing the types of services to our customers typically found only in much larger EMS providers. With the added tools and talents within our organization, we are setting our sights on being the GO-TO place for companies that demand the highest level of quality, service and customer care. Today, TouchPad is under a rapid, yet controlled growth phase, training and mentoring new staff while allowing senior members of the staff to lead the TouchPad team. We have established our training programs and work every day to better them. Our detailed programs greatly enhance the abilities of our highly talented staff. 2018 was an extreme year of growth in our organization with regards to floorspace, equipment and greatest of all, wonderful new people! We have recently overhauled our QMS system and migrated to ISO9001:2015 and passed our audit with our 7th year of ZERO non-conformances or findings. TouchPad’s legacy and on-going commitment to quality, service and integrity, delivered over the years, continues to yield great dividends in the prosperity of its people, and in the loyalty and success of its valued clients.